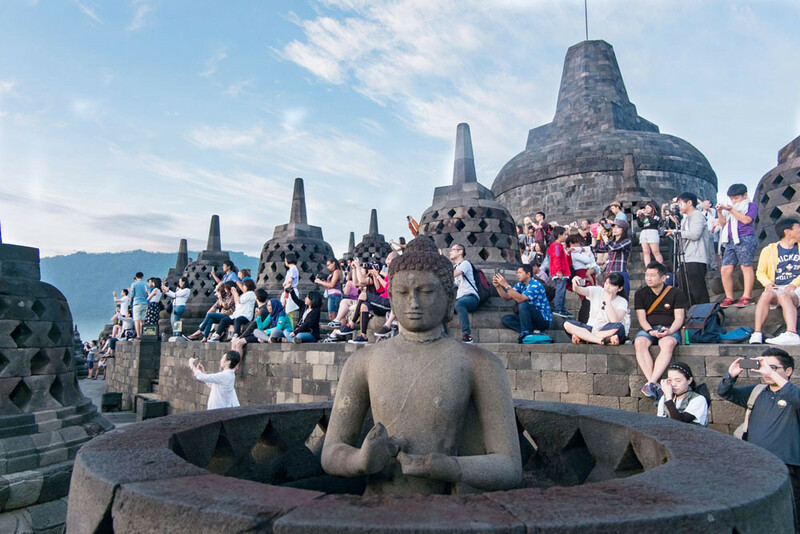 The provincial administration of Central Java has set a target of attracting 1.2 million foreign visitors in 2019, as reported by Kompas.com. The head of Central Java’s Youth, Sports and Tourism Office (Disporapar), Sinung Nugroho, said he is optimistic about reaching the target as the area has a number of attractions and activities on its tourism agenda. Aside from aiming for a high number of foreign visitors, the provincial administration also wants to attract 40 million Indonesians to visit. “We are optimistic that the target could be reached. We prepared events on the regency and city levels and provincially and nationally,” said Sinung to Kompas.com on Wednesday. The relatively high target was set despite the decreasing number of visitors in 2018. According to Disporapar’s data, there were 677,168 foreign visitors in 2018, 13.37 percent fewer than the 781,107 in 2017. Meanwhile, the number of Indonesian visitors in 2018 went up to 49,762,787 from the 40,118,470 in 2017. Sinung explains that the decrease of foreign visitors was caused by many things, including several disasters, the renovation of many tourist destinations and international flights being unable to use the airport in Surakarta. “There are usually many international events held in Yogyakarta, but not last year. This cancellation of events had an impact on Central Java,” said Sinung. In order to attract more visitors, a tourism agenda was launched. It had items divided into three categories: 17 in the social symbol and rites category, eight in the ceremonial festivals category and 45 in the Central Java cultural diversity festival category.